Whilst visiting customers this week, I’ve noticed that many venues are embracing the paper straw revolution! Fantastic! Let’s hope it carries through into other aspects of our trade. We’ve always worked hard to be as green as possible in the brewery, but it struck me that we don’t always share this with you, so here are a few ways do our bit. 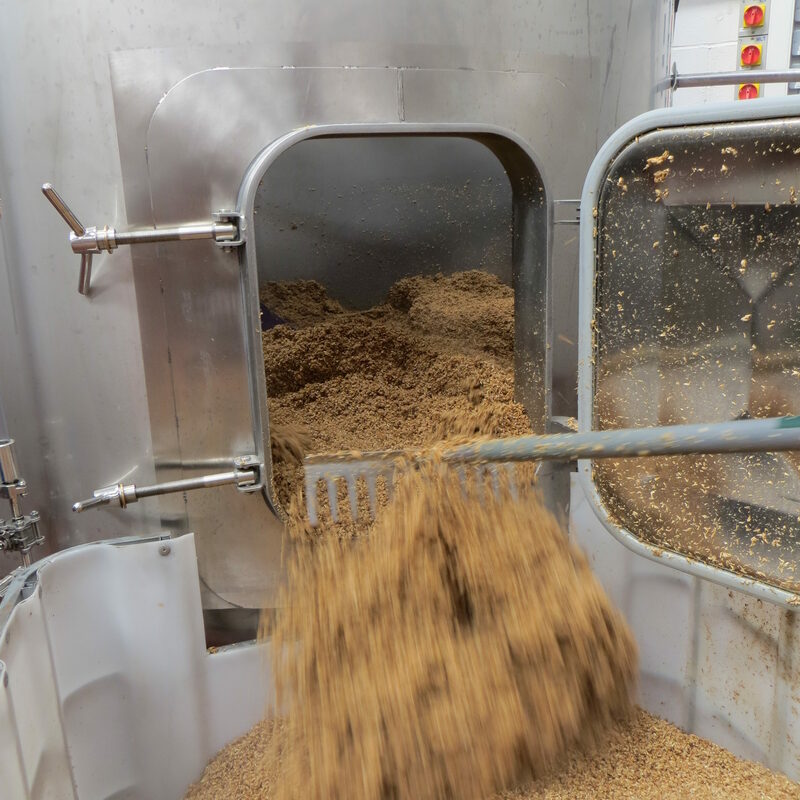 At our 18 BBL plant here in Radcliffe, we generally brew 3-5 days a week which is a lot of beer, yet we only fill ONE domestic black bin which is emptied once a fortnight. Not bad eh? From the very beginning of Brightside, and in our business before, we have worked hard to keep waste to a minimum and recycle or re-use wherever possible. This is what we do. Two dairy farmers collect our spent grain and use it as cattle feed, and one of them has been able to increase the size of his herd thanks to the free feed. Spent hops and yeast go to compost at the farms. We send back cleaning fluid vessels to the company from which we buy them to be re-used. Our customers are encouraged to keep their pump clips and re-use them rather than throw them away by only sending out new clips with new beers, or when they are looking tatty. We do not use one way kegs!! This is something that we care a lot about. Using a hard plastic vessel most of which are difficult to recycle – if indeed they can be recycled at all, to sell between 50 – 80 pints seems incredibly wasteful. To us it’s something we just won’t do; hence all of our casks and kegs are returnable and reusable. This also means a cost saving to our customers too as one-way tubs are expensive, so that’s a WIN-WIN! We recycle plastic packaging and grain bags. Cardboard packaging goes to be recycled or is used at the farm as bedding for the animals. Waste paper from the office is collected and recycled, and we’re careful only to print what we need. Ink cartridges from the printer are sent back to be re-cycled. UPDATE 17.07.18 We’ve now managed to find a company which will recycle our plastic shives and keystones so even less waste goes into our rubbish bin. We’ve almost completed our move over to LED lighting which is more energy efficient than regular lighting, which again saves electricity. We have automatic lights which switch off in the conditioning room when not in use. The vast majority of our beers are sold within a 30 mile radius, and we keep our routes efficient. We don’t travel miles to deliver 1 cask, our routes are always carefully planned. Our plate heat exchanger heats the hot liquor tank thereby conserving energy and cutting electric use. All of this helps us to make as little impact on the environment as possible, and we’re always trying to find ways to get better.